Our practical guides get you started, help you build on your existing work, and challenge you to achieve your best. Whether you’re just getting started on LGBT inclusion or developing your best practice even further, our resources can help. 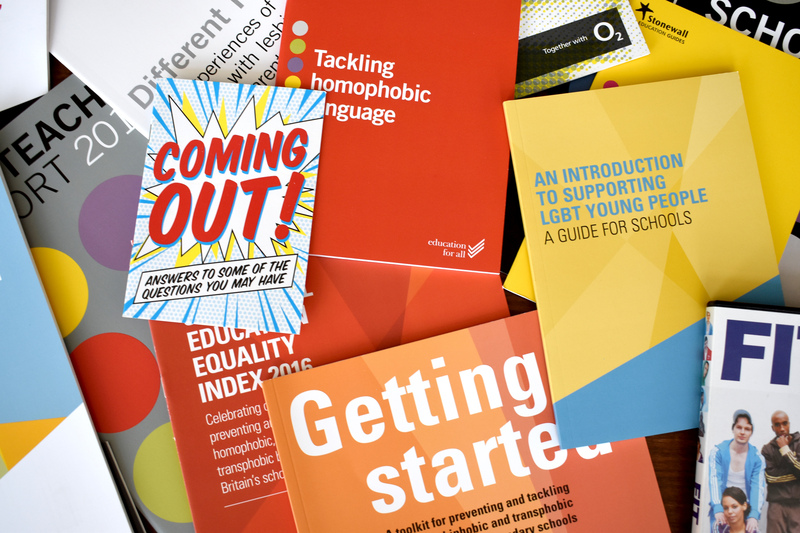 Tackling homophobic, biphobic and transphobic bullying feels like a big task, but our practical guides and toolkits break it down into manageable steps. Our best practice guides help you benchmark your work, and our posters and easy-read guides are great to use with students. Our free resources are available to all, but if you’re a School Champion, you can access exclusive resources when you log in. Browse our website to find out more or email education@stonewall.org.uk. Every school wants to make sure all their pupils can thrive. Growing up can be hard for LGBT young people – but attending a school where staff are supportive is life-changing. We understand that it’s tough to know where to begin. This guide is the best place to start.